Johnny Cash, "The Man in Black", is among the most recognized and iconic vocal artists in the history of blues, country and gospel singing. During the second half of the 20th century, he produced a prolific and rarely-equaled career in the country genre as a singer, songwriter and guitarist, despite numerous struggles with alcohol and drug addiction. His trademark bass-baritone voice is instantly identifiable to listeners today, and his "parlando" style (combining an unaffected singing tone with a speech-like rhythm and pacing) has been taken up by the generation following his death in the early 21st century. Like Elvis Presley and other renowned artists who would later gather at Sun Records in Memphis during the 1950s, Johnny Cash emerged from the South and its blues and gospel traditions, and although his path to discovery took a more circuitous route, he came to join the biggest stars of his era, leaving a lasting mark on the industry and on American culture in the process. By the end of his life, Cash and his legendary voice of "emotional authority" had been inducted into the Country Music Hall of Fame, the Rock n' Roll Hall of Fame, the Gospel Music Hall of Fame, the Nashville Songwriters Hall of Fame, and the Rockabilly Hall of Fame, in addition to numerous other honors. Cash accomplished all of this despite holding a life-long "distaste for the Nashville mainstream," which he believed was heading the wrong direction into ultra-commercialism. Nevertheless, over the span of a nearly 50 year career, Johnny Cash sold over 50 million albums and toured most of the world. 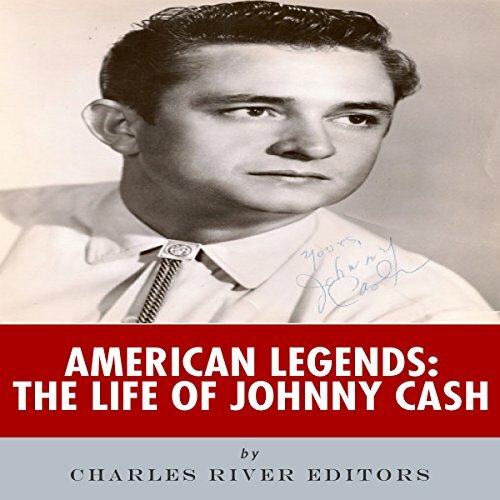 While Cash's career spanned half a century and produced a voluminous amount of music, later generations have come to know Johnny Cash more for his rebellious attitude and his unrepentant way of life. Even as he was producing hits, he was burning himself up, admitting he "tried every drug there was to try", and on numerous occasions his alcohol and drug addictions nearly killed him. While his image as an outlaw helped burnish his reputation among listeners, it also led to Cash being in poor health throughout his 60s, something reflected in some of the covers he performed in the last years of his life before he died at the age of 71. Aware of that fact, he mentioned in an interview shortly before his death, "People say, Well, he wore that body out. Well, maybe I did. But it was to a good purpose. They should be thankful that I wore it out to the purpose I wore it out and that was writing and recording and touring and doing concerts." American Legends: The Life of Johnny Cash examines the life and career of one of America's most famous musicians.